Original composition: José Quevedo ‘El Bolita’. Musical arrangements: José Carra. 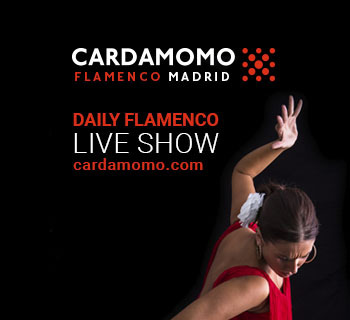 Flamencos. Guitar: José Quevedo ‘El Bolita’. Percussion: Paquito González. Bassist: Pablo Martín Caminero. 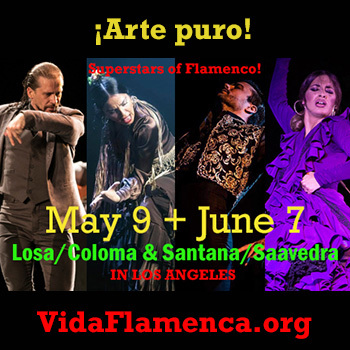 Voice and rhythm: Miguel Soto ‘El Londro’. Rhythm: Carlos Grilo. Members Big Band: Sax: Tete Leal, Enrique Oliver, Latino Blanco. Trumpet: Voro García, Fede Crespo and Pepe Zaragoza. Trombone: Paco Soler and Víctor Colomer. Teatro Alameda. September 20th, 2018. Full house. 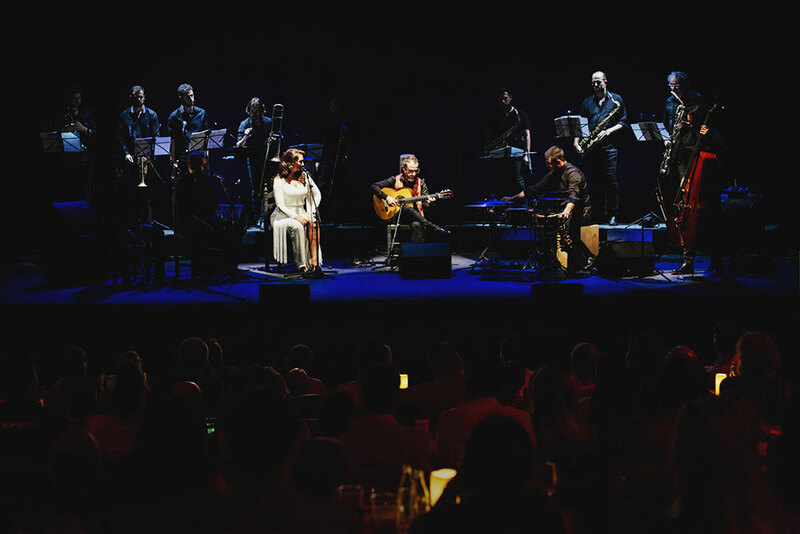 When after a two-hour concert and 15 days of the Bienal, the audience gives a standing ovation in rhythm, shouting your name, you know that something big has taken place on stage. When you also manage to bring together on-stage artists like Marina Heredia, Gema Moneo, Argentina, Ana Morales, Laura Vital, Samuel Serrano, Antonio Gámez and Roberto Jaén (just to name a few) for a knock-down drag-out fiesta finale, it’s because you must have done something very special as a musician and as a person. 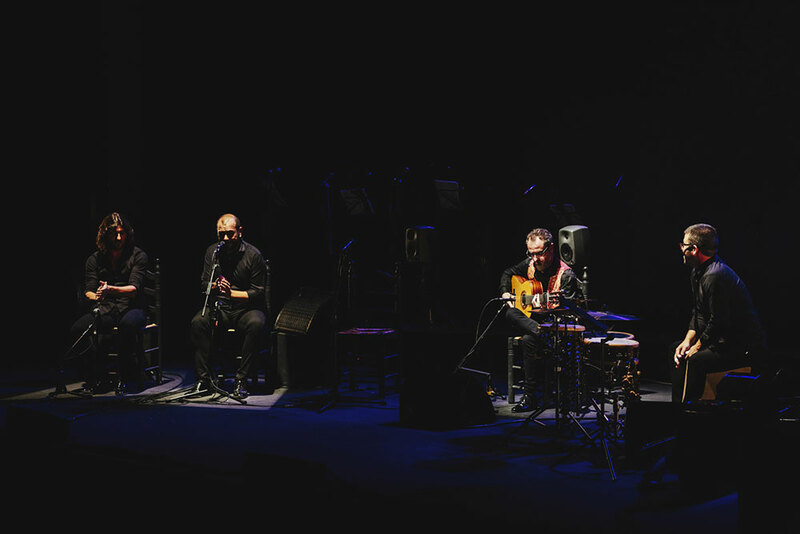 Certainly, what José Quevedo “El Bolita” demonstrated at the presentation of Caótico, the show with which he is celebrating his 30 years on-stage along with a Big Band, is that he is one of the best guitarists – or musicians – one of the most creative and intuitive in current flamenco. In other words, beyond playing guitar with fresh virtuosity, he knows the language perfectly, he dominates the medium, is capable of directing the scene, of creating complicity between the musician and has an innate ability to know what works on stage and what he has to offer that’s different. Somehow, just watching him play, you get the impression that ideas flow through his head in a flash, which is where the “chaos” of the title comes from, and that he conceives the previous step as fundamental for creation. 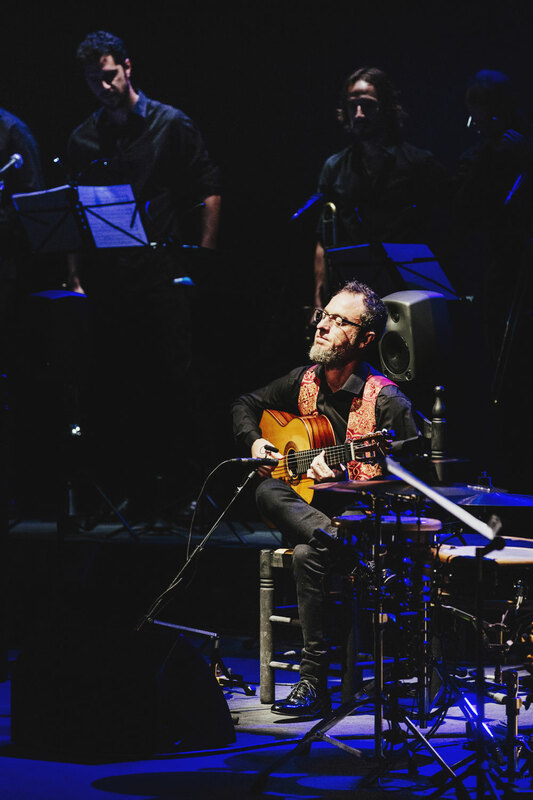 Even so, on this occasion, we found a Bolita who was more relaxed, who knew how to put the necessary contention at each moment and from his guitar make all the pieces fit with the impressive band of 13 musicians, between the flamencos and the Big Band that accompanied him. Likewise, you could tell he was having a good time, a very good time. And this, which seems so obvious, is what many artists forget about because of the pressure, butterflies and insecurity. Which is why it was truly gratifying to feel the complicity and connection the guitarist had with the great percussionist Paquito González (he deserves a monument! 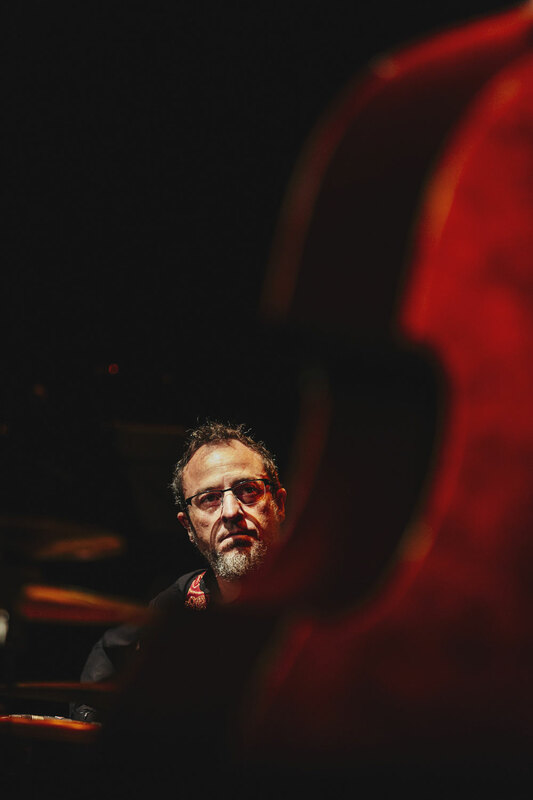 ), bassist Pablo Martín Caminero (elegant and enriching in everything he did) and to be witness to what they did together, with the enthusiastic palmas of El Londro and Carlos Grilo. Just as it was also exciting and moving to see how the guitarist knew how to fill each piece with flamenco feeling, along with the excellent musicians of the Big Band, making the sparks fly at times when his playful cheeky guitar changed register with absolute ease to introduce each one of the instruments. In other words, the man from Jerez offered a show in which good vibes and happiness took over, but also good taste, elegance and hope. A recital of energetic vigorous playing, a reflection of his inquisitive unsettled nature that awakened the urge to dance, sing and clap along the whole time. Because Bolita can give a strong closing as if instead of fingers he had blades, and the moment he reduced the tension with music, it was suspended in the air.